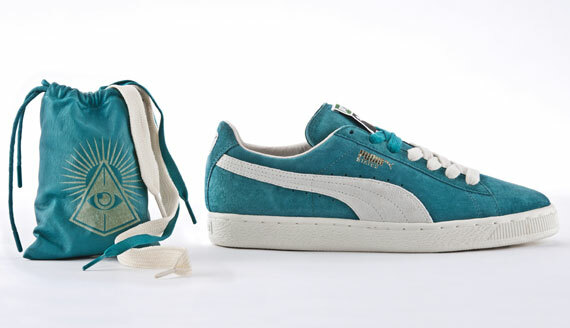 Almost as much as collaborative designs have taken over the sneaker scene in the past few years, there’s been a growing hum of internet comments attributing certain celebrities” successes to their affiliation with the Illuminati. 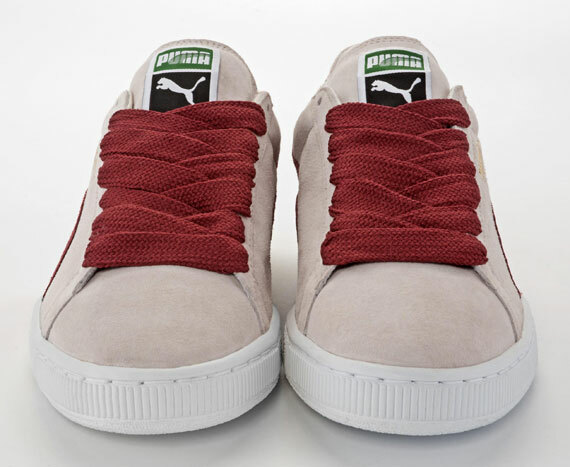 This chatter amounts to little more than another meme in the broad scheme of things, but if you were ever looking for evidence of a conspiracy in the sneaker world, this is probably as close as you’re going to get. 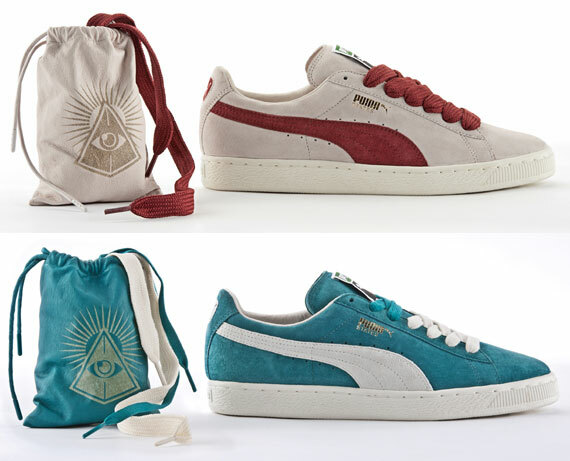 The Puma Shadow Society even uses a pyramid eye logo on the lacebags that accompany these lush pairs of Puma Suede lowtops, teal and beige editions set to hit select retailers this Friday, August 26th. 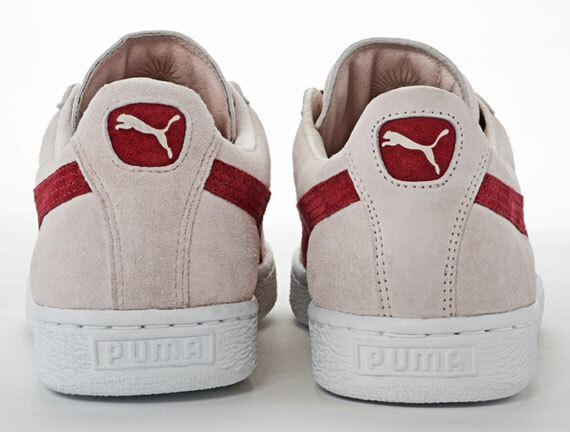 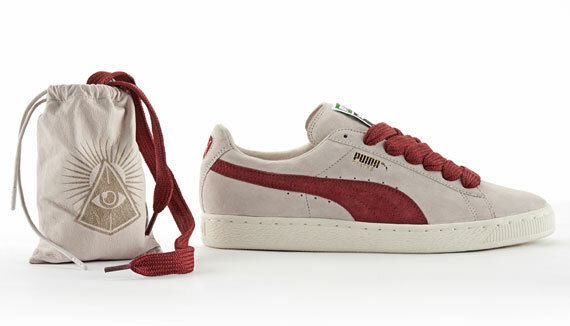 This anonymous group of collaborators also renamed this release the Puma State in honor of the model’s nickname in the UK, and you can see this name printed on their sides among other details when you click on the jump below.